Sparsely populated and picture-perfect, the tiny Caribbean nation of the Turks and Caicos is a sought-after holiday destination for discriminating travellers. Tourism, along with banking and high-class rum, is big business in the T&C, and after the country shot to international acclaim in the 1990’s, prices for private islands, vacation homes and tourist resorts were booming. Despite taking a breather during the economic crisis, the country’s real estate market remains active, with many buyers drawn in by the lure of discounted luxury properties in this exclusive island hideaway. Property buyers looking to avoid paying transfer taxes in this island paradise should take keen notice of a recent award by the country’s courts to the T&C government, however. 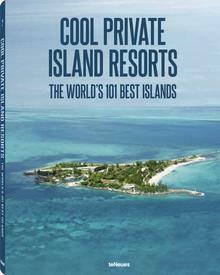 It must be one of the highest-profile cases seen by this sleepy archipelago in recent history, and involved many sensational elements; an incredibly luxurious private island, a flamboyant former billionaire, and, of course, a financial scandal that made headlines around the world. In 2005, lumber baron and erstwhile billionaire Timothy Blixseth, already the owner of an ultra-exclusive ski resort in Montana with celebrity investors, the now-bankrupt Yellowstone Club World, purchased the 5-acre island of Emerald Cay from owner Gary di Silvestri to add to his resort portfolio. Home to a gorgeous, sprawling estate on par with any other luxury private island in the Caribbean, if not the world, Emerald Cay hosts a 9-bedroom mansion with 30,000 square feet of living space, and even a bridge – retractable for ultimate privacy – to the neighbouring main island of Providenciales. The government of the T&C contended that during this transaction, Blixseth sought to hide the actual value of his island purchase, and underpaid the mandatory ‘stamp duty’, or transfer tax, on the property sale. The case alleged that Blixseth paid taxes on a value of $10 million, while he actually paid $28 million for Emerald Cay, thereby avoiding substantial fees. The government originally sought $1.75 million in outstanding stamp duty along with nearly $7 million in penalties. After many months of drawn-out court battles, the T&C government was just awarded more than $9 million by its Supreme Court. “We are delighted to have obtained this judgment, which underlines the commitment the government has to ensuring stamp duty is paid, and to pursue those who do avoid stamp duty,” said Attorney General Huw Shepheard in a public statement on February 1st. Blixseth, on the other hand, asserts that the seller was to blame; his lawyer claims that they intend to pursue Silvestri for a judgement of $28 million, and will “expose his fraud with the government”. 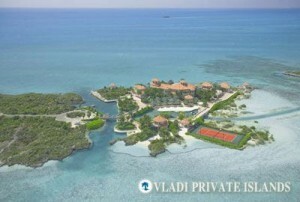 The beautiful island at the centre of the scandal is currently for sale, listed at $48.5 million. Perhaps the next owner of Emerald Cay will have better luck; that is, as long as they pay their stamp duty.